Even healthy eaters sometimes break for sweet treats. 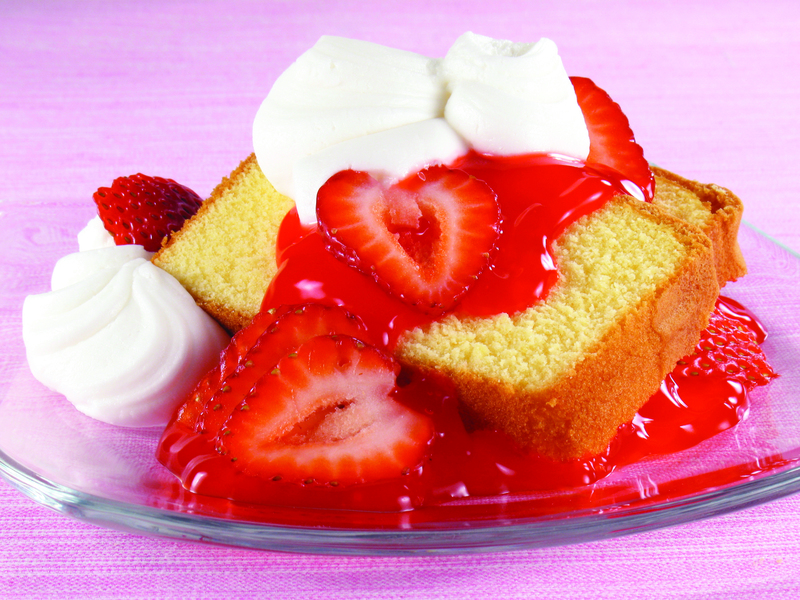 Here’s a fresh alternative to store-bought strawberry shortcake, from Morrison Healthcare, which provides food services to Upstate. Combine water, sugar and lemon juice in a medium sauce pot and bring to a boil. Allow the syrup to cool to room temperature. Place the strawberries and mint in a mixing bowl and mix to combine. Pour syrup over the fruit. Refrigerate for at least 2 hours. Preheat oven to 350 degrees. Mix flour, sugar, and baking powder in a large bowl. Add butter and yogurt to the dry ingredients and mix. Add eggs, lemon juice, zest, and vanilla. Beat mixture for 2 minutes until there are no lumps. Pour mixture into a lightly greased 9-by-5-inch bread pan. Bake on the middle rack in the oven for 45 minutes. Remove from pan and cool completely. Slice pound cake into 10 portions of 5 ounces each. Top each with about 1 ½ ounces of cream and about 3 ounces of the strawberry mixture. Whip cream until thick and add sugar, being careful not to over mix. Fold in yogurt. Refrigerate until ready to use. This entry was posted in diet/nutrition, recipe. Bookmark the permalink.